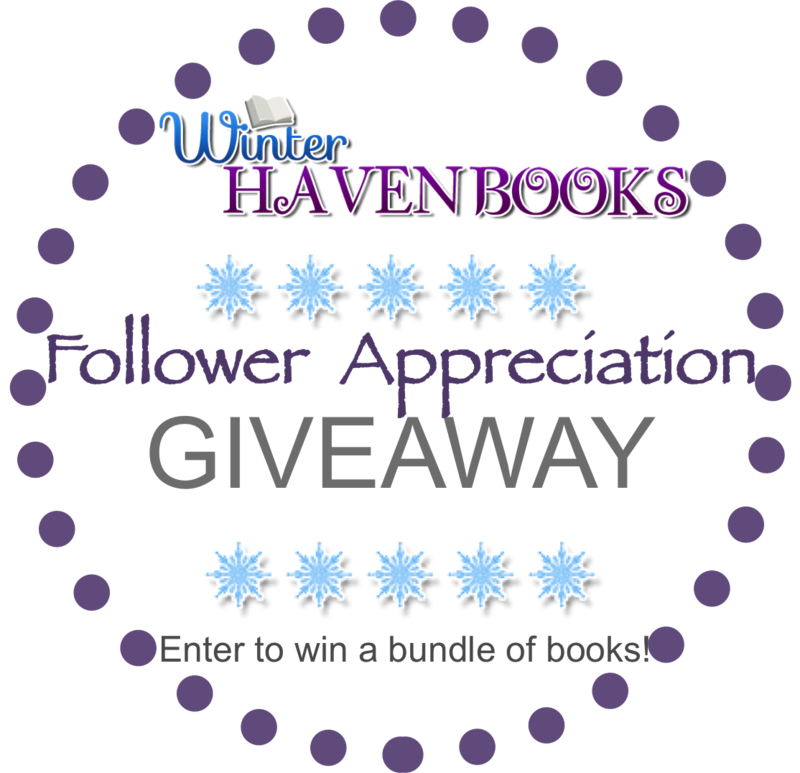 This week we have another bundle of books as part of our follower appreciation giveaway. The best part is that this stash is all hardcover editions!! 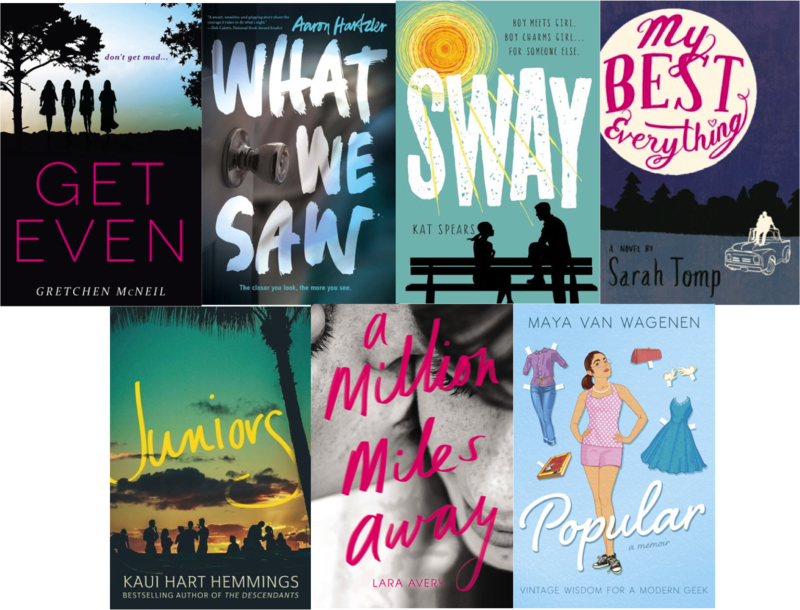 Take a look at these novels, and let us know if there is something in the pile that you think you'd enjoy! WinterHaven Books says thank you for continuing to visit our blog!! 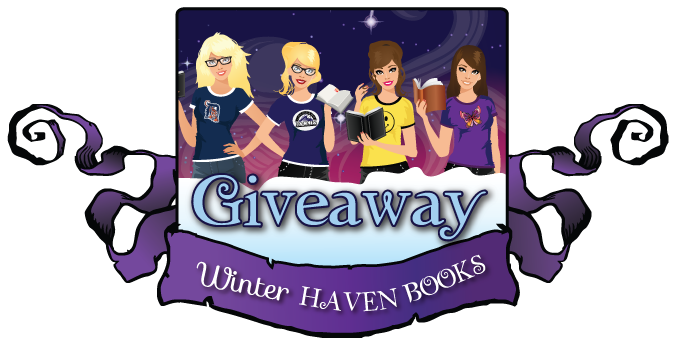 Be sure to fill out the rafflecopter for a chance to win and let us know what book you're interested in reading. Because of the number of books we'll be shipping, this giveaway is open to US Residents only. THIRTEEN REASONS WHY 10th Anniversary!!! 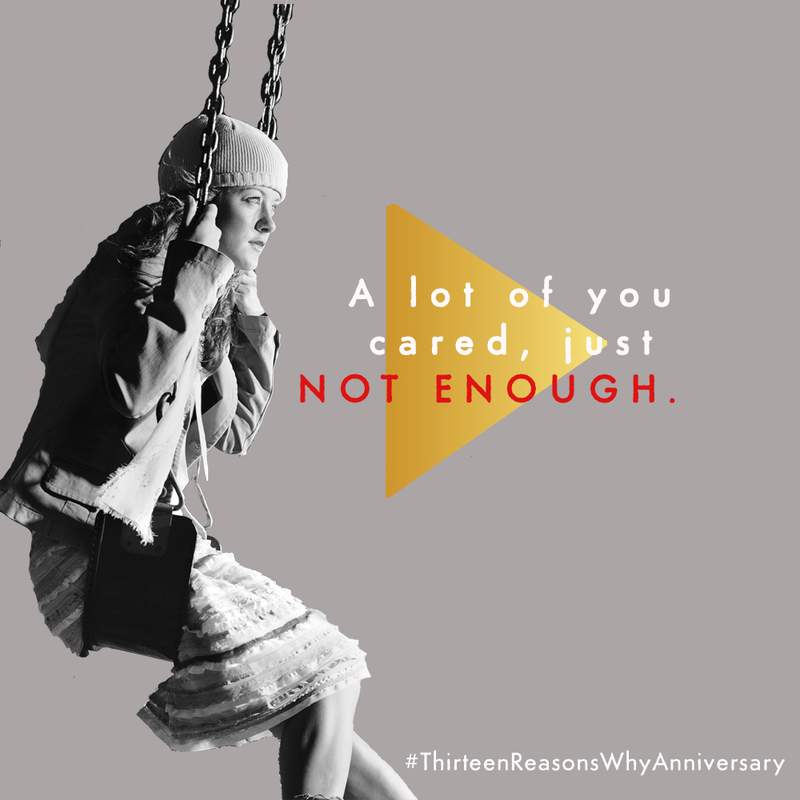 Today we are sharing info on the NEW 10th Anniversary edition of Thirteen Reasons Why by Jay Asher! This new edition releases TODAY! "You can't stop the future." "You can't rewind the past." "The only way to learn the secret . . . is to press play. Clay Jensen returns home from school to find a strange package with his name on it lying on his porch. Inside he discovers several cassette tapes recorded by Hannah Baker--his classmate and crush--who committed suicide two weeks earlier. Hannah's voice tells him that there are thirteen reasons why she decided to end her life. Clay is one of them. If he listens, he'll find out why. Clay spends the night crisscrossing his town with Hannah as his guide. He becomes a firsthand witness to Hannah's pain, and as he follows Hannah's recorded words throughout his town, what he discovers changes his life forever." 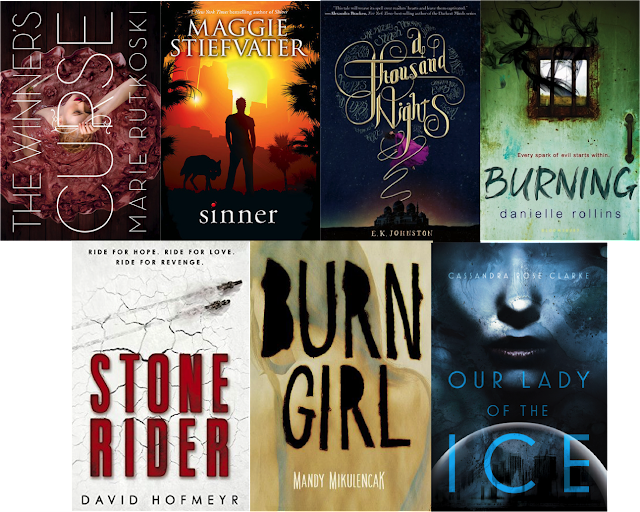 Razorbill has also provided us with an awesome giveaway to share with our readers!! 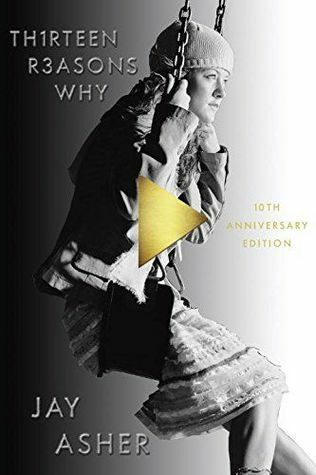 Enter for a chance to win one of five (5) hardcover copies of the 10th Anniversary Edition of 13 Reasons Why by Jay Asher (ARV: $18.99). NO PURCHASE NECESSARY. Enter between 12:00 AM Eastern Time on December 27, 2016 and 12:00 AM on December 28, 2016. Open to residents of the fifty United States and the District of Columbia who are 13and older. Winners will be selected at random on or about January 2, 2017. Odds of winning depend on number of eligible entries received. Void where prohibited or restricted by law. I'm so surprised What Light was written by the same author that penned Thirteen Reasons Why! 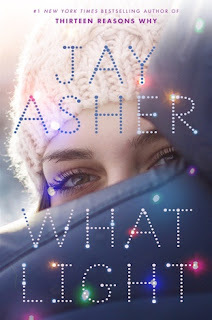 Jay Asher definitely flexed a new muscle from heavy YA contemporary to authoring a light, holiday YA contemporary. This story takes place on a Christmas tree farm in Oregon where Sierra and her family head out to California every year during the holidays to run their business. For the past couple of years, the business has not been doing so well, so there might be a chance that this will be their last year in California. Knowing she might not be back next year, Sierra decides to make the most of her time with her friends during the holidays. However, falling in love is not part of that plan. When Caleb shows up at the Christmas lot purchasing trees for struggling families, Sierra takes notice and these two begin a light romance that is not without its struggles and secrets. Not only are they faced with a not seeing each other again after the holidays, but Sierra must also decide if Caleb's past is something she can overlook. Overall, What Light definitely fits the bill if you're in the mood for a holiday light romance. It was interesting learning about the Christmas tree business. I also enjoyed the family dynamics between Sierra and her parents. Sierra and Caleb probably won't win best couple of the year for me, and the story won't fall on my top 2016 picks, but it's still a good choice for someone looking for a holiday book that doesn't require too much time or energy to consume. 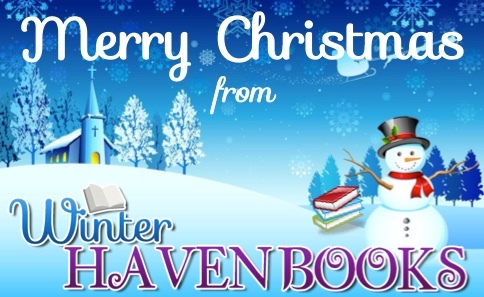 WinterHaven Books would like to wish our bloggie friends and fellow readers the warmest greetings of the Season. May you all enjoy the holidays with your family and friends. We hope Santa fills your stockings with some amazing books! High school senior Zephyr Doyle is swept off her feet—and into an intense and volatile relationship—by the new boy in school. 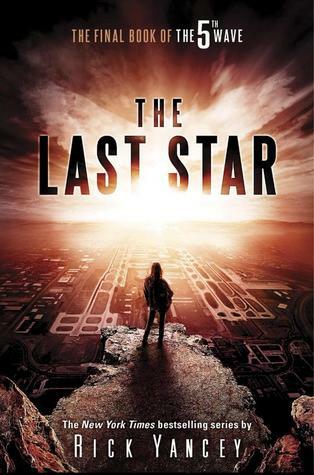 Well this was definitely a daunting story, which felt like a train wreck from the beginning seeing as it started off with a scene from the final chapters. I just didn’t know how bad the journey would be to the final destination. However, it was clear that The Girl Who Fell was going to take me on a dark, twisted journey where the romance was filled with inevitable pain both physical and emotional. HARSH! Zephyr Doyle is a field hockey player for her high school team. She’s focused and level headed, as well as, determined to take her team to the state championships. Having a solid academic and sports strategy is part of her goal to getting to Brown University when she graduates. Everything seems to be going according to plan until she meets the charming, new student who sweeps her off her feet. At first glance, Alec seems like a catch. He’s sweet and somewhat mysterious having transferred from a different school, and when he sets his sights on Zephyr, their romance escalates quickly. That’s when the manipulation and abuse begins, and she’s oblivious to the signs until it’s too late. 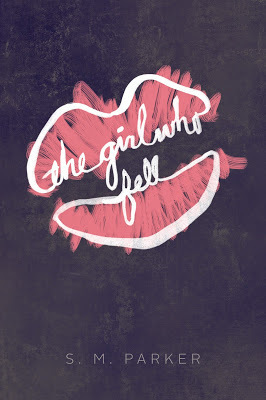 Well, as far as YA contemporary novels go, The Girl Who Fell definitely falls into the dark romance category. However, you can’t ignore the relevance of the novel. The relationship depicted in this story is not uncommon and Shannon M. Parker doesn’t hold back when it comes to portraying its toxic and destructive possibilities. There are hard lessons learned when it comes to young relationships that teenage girls should be aware of. This book is relevant and bold, and I would recommend it to a 16+ audience. 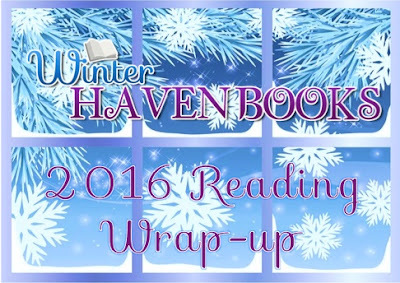 WinterHave Books is excited to share our 2016 Reading Wrap-up. The year just flew by, but that didn't stop us from making sure we put a dent in our bookshelves. So, in the spirit of sharing our 2016 reading accomplishments, we have a list of our favorites and not so favorites we've come across. But that’s not all!! One lucky winner will get the chance to win a US$15 giftcard to either US Amazon or US Barnes&Noble OR up to a US$15 shopping spree to the The Book Depository. So, the giveaway is INTERNATIONAL as long as The Book Depository ships to your address. Be sure to check out the details below. This year, I definitely slowed down on my reading. 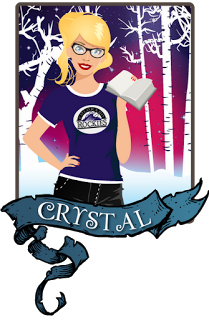 When I did pick up a novel, it tended to be outside of the YA genre. However, there were several YA books I was able to tackle that not only seemed to be perfect choices, but also ones that I had on my TBR for some time. This year, I was finally able to finish the Bloodline series by Richelle Mead. I enjoyed both books, and ended up asking myself why I waited so long to tackle these books. I think anyone that’s a huge fan of Forbidden by Tabitha Suzuma might be slightly disappointed in this novel that feels like a knock-off. Surprisingly, I only had one debut author on my list. It’s not YA, but definitely worth mentioning seeing as the novel hit the big screen in 2016. 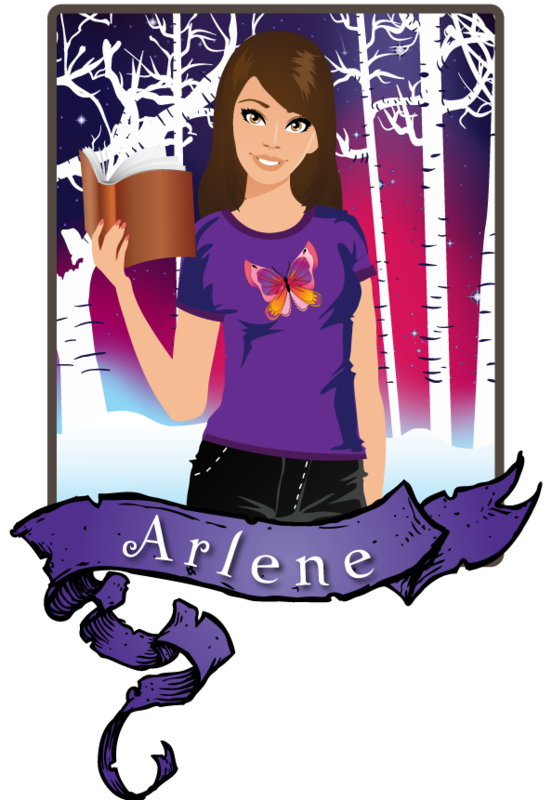 This year for me, like Arlene, my reading slowed way down. Life kind of took over for awhile, but I'm happy to say things have calmed down, and I've been able to dive into quite a few good books. My favorites this year will surprise nobody since they include paranormal, high intensity, and my favorite genre creepy lol! I loved each and every book in The Rephaim series and the final installment Shimmer was pure perfection! If you haven't read this series yet, you are most definitely missing out! I would have to say Where Futures End by Parker Peevyhouse. I wanted to love this book so much, but I just didn't get it. I felt like the only one who didn't understand this book. I saw so many raving reviews, and I just literally didn't understand the story at all. This is a toss up between Crossing the Line by Meghan Rogers and Stalking Jack the Ripper by Kerri Maniscalco. Both of these were fantastic and definitely left a lasting mark on my brain. Kady from Illuminae by Jay Kristoff and Amie Kaufman. Kady was an amazing character and she did what she had to do. She was brave and could definitely kick some bookies both in person and by hacking into a computer. Hands down Rafa from The Rephaim series by Paula Weston. He was beyond hot and everything I ever want in my male characters. Loved him! Special mention goes to Simon from Simon vs. the Homo Sapiens Agenda by Becky Albertalli. I am not a contemp fan, but Simon stole my heart and showed me I need to let some contemps slide through between my creepy reads. Simon vs. the Homo Sapiens Agenda by Becky Albertalli. We hope you've enjoyed our 2016 Reading Wrap-up. And now for the fun stuff!! We are giving away A US$15 gift card to either US Amazon, US Barnes & Noble OR up to a US$15 shopping spree to The Book Depository, so the giveaway is International as long as The Book Depository ships to your address. Be sure to fill out the rafflecopter for a chance to win! Don't forget to comment below and let us know some of your favorites from 2016!! We want to hear from you! 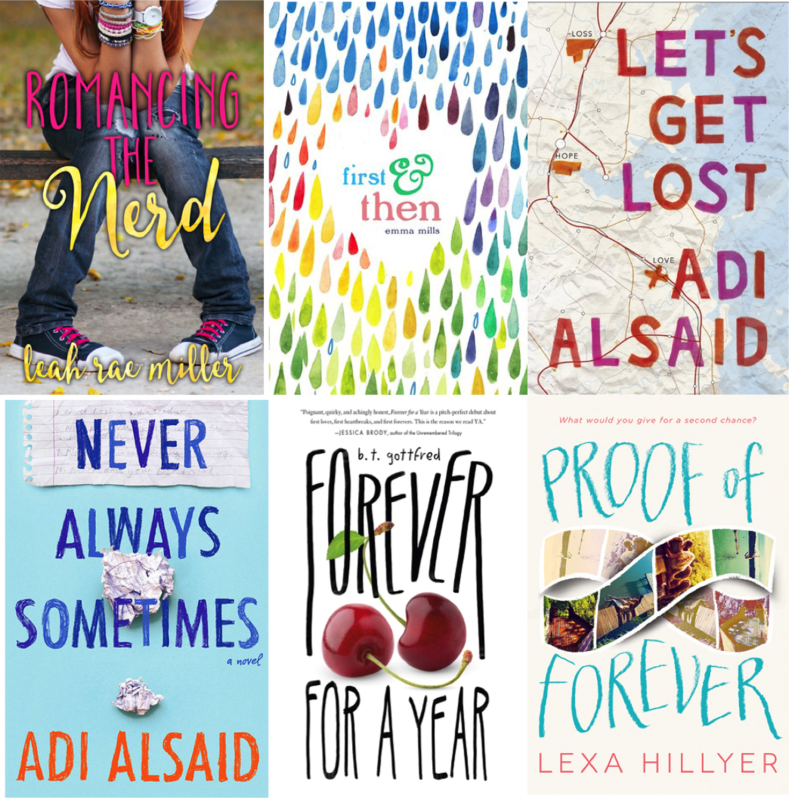 As part of our weekly follower appreciation giveaways, we've put together a bundle of YA Contemporary novels... which happens to be my favorite genre. 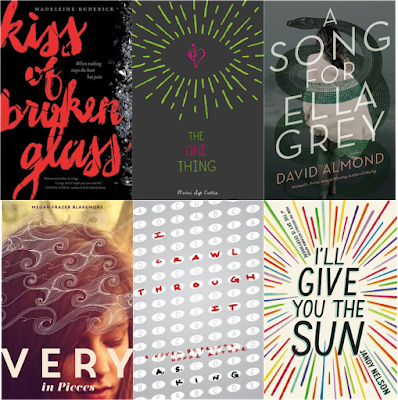 Take a look at what we're offering and let us know if there is a book in the bundle that catches your eye. Thank you to all of our followers and bloggie friends!! With her world in chaos and each side wanting to claim her for their own, only one thing is certain: unless Ansa can control the terrible magic inside her, everything she’s fought for will be destroyed. 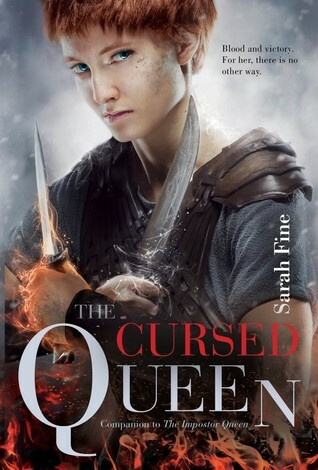 The Impostor Queen was one of my top favorites of last year and I was SUPER excited to get my hands on The Cursed Queen. TIQ left off at such a dangerous place that I just knew TCQ would be explosive. Well to my surprise, this installment takes us back to before Elli's adventures and to a place where trouble is brewing among the Krigere tribe. I wasn't really happy when I found out this book was about totally new characters, but by the second chapter I was all in! The Krigere tribe is actually pretty horrible. They are raiders and they live by taking what's not theirs. I liked the fierceness of the people, but I was a bit uncomfortable when raids were being described. It was pretty horrible, but thankfully the author chose to make these just stories and not something we had to witness through the characters eyes first hand. That being said I found the Krigere tribe quite fascinating. The story itself like I said takes place at the same time as Elli's story. If you remember in the beginning of TIQ the Valita goes out to sea to stop raiders. Well you guessed it these are those same raiders. We get to see the aftermath of the Valita's destruction and yes it is as crazy as you would imagine. The Krigere are left without their chieftain and must rally around his daughter who does not share the same principles. From the beginning it is a hard road from Thyra's (the daughter) pleas to start a new way of life to the fight bigger than anyone saw coming. I will say that I liked this story. It was stronger than TIQ at times and weaker at others. One thing I wasn't fond of was the romance. I thought Fine strayed from her path in TIQ and I feel like in this one she is just trying to hard. I liked Ansa and I was excited to see her drawn to Thyra, but the back and forth got to be a bit much and I didn't like the inclusion of Jaspar. It felt almost too similar to TIQ and I was a bit upset that Fine wouldn't just go there with her characters. She moved in a better direction this time, but it all still felt like she wasn't sure she wanted her characters to love each other. For me this became a distraction and took away from some of the things Ansa was going through. I wanted to focus more on the "curse" Ansa was given and see if she could tame this new side of herself. By her constantly complaining about being discarded as Thyra's wolf I lost the momentum. Speaking of being Thyra's wolf, I wasn't happy with Thyra for most of the story. She kept Ansa in the dark about so much and it really ticked me off. I know the whys, but if she had included her and chosen to stand with her things could have gone so much better. Miscommunication is a peeve of mine and these two just could not get on the same page! So frustrating! Even with all that though I still liked the story for the most part. I found it went hand in hand with the first one really well and Fine did a great job weaving these two stories together. I am excited to see what the third installment will bring because I'm not sure it will be as explosive as I want it to be. This one ended on a happier note that the previous book and it seems like all the peace is all that is wanted from the parties left standing, but I know things will not be that easy for either side so I am anticipating a blow up somewhere along the way. This is yet another novel that I’ve tackled this year where I’m left asking myself, “Why did you wait so long to dive into this book?” I truly have no good excuse. Ruta Sepetys proved herself to be an amazing author when I experienced her beautiful, poignant stories Between Shades of Gray and Salt to the Sea. Both of those books left an impression on me, so to have waited so long to read Out of the Easy was a huge mistake on my part. Thankfully it was a book club selection, which by the way, generated huge praise from my friends and insightful discussion. Great choice! Tackling the YA Historical genre, which is not so widely populated by other authors, appears to be Sepetys strong suit, and Out of the Easy is just another example of her skill in capturing a moment in the past and making the reader feel like they’ve immersed themselves in the moment. 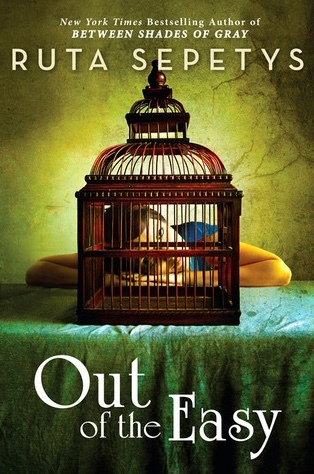 In this novel, Ruta Sepetys takes us back to the 1950s in New Orleans, Louisiana, where seventeen year old Josie Moraine struggles to break free of the social barriers that have her wishing for more out of life. As the daughter of a brothel prostitute, Josie wants to attend a prestigious college and make something of herself. However, she realizes that some opportunities are not within her grasp because of the limitations of her social standing. As a local murder complicates life on Conti Street, Josie somehow gets caught up in the mystery and struggles with a tough choice that involves either protecting or incriminating her mother. Overall, I have to say how much I admired Josie. 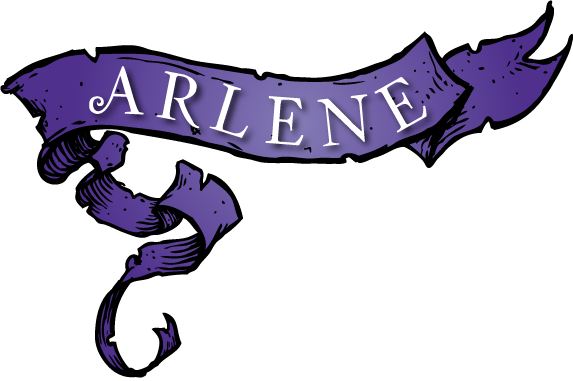 She’s probably one of the strongest heroines I’ve come across in YA literature that was a perfect combination of intelligent, determined and independent. Despite the social limitations and constant barriers she struggled with, Josie powered on in her journey to make something of herself. Sepetys managed to make me care for this character beyond the final chapters, which doesn’t happen too often for me. I also have to mention Willie Wooley, Conti Street’s madam. She was probably one of my favorite characters in the book. I appreciated how she attempted to compensate for Louise’s lack of maternal instinct. Willie’s protective nature went beyond just Josie, though. She cared about her girls and the woman, despite her profession, was one I admired throughout the story. In contrast, I could not stand Josie’s despicable mother! One of the parts I struggled with the most what how Louise stole from her daughter with no remorse!! She was an evil combination of uncaring and selfish. Horrible… horrible! Thankfully, Sepetys peppered her novel with an ample amount of likeable characters including Cokie, Jessie and the brothel girls, all of which had such vivid, unique voices that it was easy to get caught up in their part of this story. Overall, I’m truly glad I finally decided to break the spine of this wonderful book that’s been sitting on my shelf for too long. I’ll be sure not to put Sepetys to the side when she publishes her next novel. This author deserves attention! From the "New York Times" bestselling author of "Blackberry Winter "and "The Violets of March" comes a gripping, poignant novel about the kind of love that never lets go, and the heart s capacity to remember. While enjoying a romantic candlelit dinner with her fiance, Ryan, at one of Seattle s chicest restaurants, Kailey Crane can t believe her good fortune: She has a great job as a writer for the "Herald" and is now engaged to a guy who is perfect in nearly every way. As they leave the restaurant, Kailey spies a thin, bearded homeless man on the sidewalk. She approaches him to offer up her bag of leftovers, and is stunned when their eyes meet, then stricken to her very core: The man is the love of her life, Cade McAllister. When Kailey met Cade ten years ago, their attraction was immediate and intense everything connected and felt" right." But it all ended suddenly, leaving Kailey devastated. Now the poor soul on the street is a faded version of her former beloved: His weathered and weary face is as handsome as Kailey remembers, but his mind has suffered in the intervening years. Over the next few weeks, Kailey helps Cade begin to piece his life together, something she initially keeps from Ryan. As she revisits her long-ago relationship, Kailey realizes that she must decide exactly what and whom she wants. Alternating between the past and the present, "Always" is a beautifully unfolding exploration of a woman faced with an impossible choice, a woman who discovers what she s willing to save and what she will sacrifice for true love. "Sarah Jio s delightful and uplifting novel is guaranteed to melt even the toughest cynic and deserves a top rating of five stars (plus the moon)." 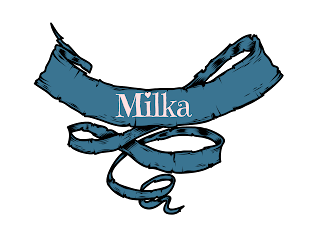 Historical Novel Society"
"A tribute to family and forgiveness." Booklist"
I’d like to believe my standards for giving a book five-stars is pretty fair and consistent. One common criterion includes stories that have me thinking about the subject matter well beyond the pages of the book and long after I’ve completed the final chapters. Always by Sarah Jio accomplished that in more ways than one. This book definitely has staying power, and days after finishing it I'm still thinking about the content and characters! It was a beautiful combination of heartfelt struggles, deep connections and social issues that should not be ignored. In her latest novel Always, Jio shares Kailey Crane’s struggle of having to choose between the man she’s decided to spend the rest of her life with and one that suddenly reemerges after a devastating disappearance. It all happens one night when Kailey and her fiancé Ryan are leaving a restaurant, and a homeless man on the sidewalk catches Kailey’s attention. She’s convinced the man she locks eyes with is the love of her life that disappeared suddenly and with no warning years prior. Cade McAllister has been wandering the streets for years, and now Kailey has to decide whether she should try and make sense of what happened and help Cade, or continue with the perfect life she’s begun with Ryan. From the very beginning of this novel, I knew I was in for an emotional ride. It is clearly evident that both men loved Kailey, and having the story told in alternating time references helped put into perspective how Kailey felt about Cade and Ryan. Throughout the story, I knew there was more to Cade’s disappearance that what was presented on the surface. He had a deep connection with Kailey that was believable and heartfelt. I admired Kailey for the choices she had to make throughout the novel. Considering the pain and devastation she experienced with Cade’s disappearance and subsequent reappearance, the decisions she made where admirable. However, that didn’t stop me from feeling an emotional pull for both men because they clearly loved Kailey, and where one needed her help to put his life back together, the other had begun to build a future with her that was clearly built out of love. Throughout her novel, Jio grapples with a topical subject that is becoming a social crisis in the U.S., which is homelessness. Recently, this has become top of mind for me because I’ve noticed a growing number of homeless people as I drive into work, mainly the homeless camps alongside the freeways and those that wander the streets and not just in low income communities, but also, affluent neighborhoods. As I was reading this novel, it led me to look up some of the statistics, and it was devastating to learn that that are over 560,000 homeless people in the US. That number is simply tragic considering the economic maturity of our country. What surprised me even more is that the reasons for homelessness go beyond drug and alcohol abuse. Many people find themselves out on the street because of job loss, divorce, and domestic violence. What’s even more difficult to accept is that mental health contributes significantly to this growing epidemic and our country is closing mental health institutions forcing these people out on the streets. As I kept paging through this novel, researching this social issue on my own, and talking with family and friends, I knew this story consumed me in more ways than one. Always is emotional, heartfelt and most of all relevant. I hope it makes waves when it hits the shelves in 2017. This book deserves attention for the social issues it brings to light and the manner in which Sarah Jio chose to present her story. Five stars indeed! 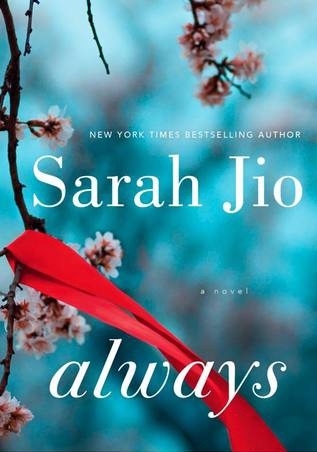 Thank you Penguin Random House for allowing me to read an Advanced Readers Copy of Always by Sarah Jio. If this sounds like a story you would enjoy reading, WinterHaven Books is giving away an ARC copy of Always by Sarah Jio. Simply fill out the rafflecopter and share a thoughtful comment below. This giveaway is open to US Residents only. AND we have another giveaway away for you! Hopefully our bundles have included books you might enjoy this season. We'd love to hear from you to see if there are any books in these bundles that have caught your eye. Be sure to visit next week to see what we've put together! WinterHaven Books would like to thank all of our followers and bloggie friends for visiting our book haven home!! A heartfelt and timely middle grade story about a transgender boy’s journey toward acceptance and empathy. Perfect for fans of George and Gracefully Grayson. Twelve-year-old Shane Woods is just a regular boy. He loves pitching for his baseball team, working on his graphic novel, and hanging out with his best friend, Josh. But Shane is keeping something private, something that might make a difference to his teammates, to Josh, and to his new crush, Madeline. And when a classmate threatens to reveal his secret, Shane’s whole world comes crashing down. It will take a lot of courage for Shane to ignore the hate and show the world that he’s still the same boy he was before. And in the end, those who stand beside him may surprise everyone, including Shane. Oh man, this book was ABSOLUTELY WONDERFUL. Not only did it manage to make me feel a lot of different things, it also taught me something new. I think that kind of reading experiences are always the most rewarding ones. The Other Boy is a story of 12-year-old Shane. He is in 6th grade, loves baseball and draws a graphic novel about a man called Hogan Fillion (named after his childhood dog Hogan and his favorite actor from Firefly, Nathan Fillion) in his spare time. He has a best friend called Josh and a crush on a girl called Madeleine. His parents are divorced, and he lives with his mother. Shane is happy with himself and his life, but he has a secret that could change everything - he is transgender. In addition to his friends Shane is surrounded by his mother and father who have divorced when Shane was younger. Shane's mother is wonderfully encouraging and loving and the way she approaches Shane and his gender is done, in my opinion, very well. Shane's father represent a more questioning side, and though it can be easy to dislike him at moments, the way Shane sees his father helps the reader to understand their relationship a little bit better. In addition to Shane's parents there is Dr. Anne, a physician specialized in transgender children and providing understanding and help when it is really needed. Shane is such a lovable, interesting character that I instantly fell in love with. He is funny, loving, incredibly mature and capable of forgiveness. He is creative, loves Firefly and spending time with his best friend, and hopes that one day he does not have to live with secrets. I was so touched by some of the things he says and thinks and the relationship he has with his mother is absolutely fantastic and very well written by Hennessey. I was absolutely heartbroken and angry about the things Shane has to go through as a result of people's close-mindedness, but also relieved that there were people around him that accepted and loved him. I want to applaud M.G. Hennessey for writing this story because I think stories like this are extremely important, especially for young readers. The earlier children learn to be accepting and open and to feel empathy for people who might be a little different from them, the better. 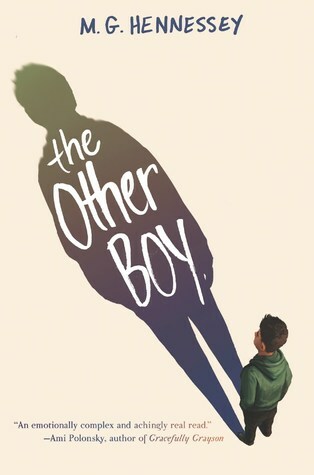 The Other Boy tackles, for example, the importance of using the preferred pronouns and the hurt that comes from when someone identifies you incorrectly as well as when and how to use terms like "transitioning" and "stealth mode". It also discusses the importance of accepting communities, like a support group for transgender kids and their parents and tells a heartbreaking story about a boy who feels like he cannot be what he wants to be just because people around him do not accept him. Hennessey also manages to acknowledge that not all transgender kids share similar experiences and is aware of the fact that there is not one correct way to deal with things such as one's identity, sexuality, etc. There will be parents who will keep their children away from this book and shun it, but hopefully, the majority will be parents who will share this book with their children and encourage them to make their own conclusions about Shane's story. I'm not a parent and do not have the authority to say how parents should raise their children, but I know that children are capable of making their own decisions. While it is completely fine to pass on opinions/values on children, think they should be able to have a chance to form their own opinions. While this book shows examples of the cruelty children are capable of via bullying, it also shows that kids can have an incredible tendency for being open-minded and accepting of people just as they are. I have mixed emotions about the final installment to The Fifth Wave series. I was absolutely captivated by the first and second book. For YA SciFi, which I rarely read, this series had me second-guessing why I don’t frequent this genre more often. The series had everything I enjoy… fast pacing, steady plot development, a cast of characters that know how to carry a story, and a world-building element that is believable and solid. I also missed the Cassie that I met in the first installment. Cassie went from being a main character that was strong, witty, and worthy of carrying a story - to a meager secondary decoration that was a shadow of what she was in The Fifth Wave. In the spirit of remaining spoiler free, I guess I’m glad we lost some of the original Cassie in the journey because that would have made the ending more difficult for me to process. Lastly, I was a huge fan of Evan Walker so his fate in this book was tough for me to digest. I wanted more from him, as well as, for him. Granted, his appearances were scarce, I was still hoping to see more of the strong, conflicted, swoon-worthy human/alien that left an impression on me. On a positive note, seeing Ringer, Zombie and Nugget take over the story was interesting to witness, and I enjoyed watching these characters create an unbreakable bond. However, there was another element I had a hard time digesting… let’s not forget that Nugget is 5 or 6 years old in this story, and it was hard to believe such a young child could create a bomb and orchestrate an attack. However, crazier things are happening in this world, so what do I know? Overall, the series finale was not quite epic but not a complete failure either. The multiple POVs and voices were distinguishable and really helped see the story from different lenses. Despite it not being everything I hoped for, I still think it would make a great movie… but the jury is still out if that will happen. Yes, you guessed it! We have another giveaway to share with you. This week WinterHaven Books has put together another bundle of books to thank our followers for visiting our blog. If you've enjoyed entering for a chance to win these books, be sure to check back next week to see what you can enjoy reading this winter season! When her former handler offers her a way out, she realises it's her only chance to erase the giant target on her back. But it means taking one last job for her ex-employers. To her horror, the information she acquires only makes her situation more dangerous. Okay let me first say, I liked this...a lot. Am I surprised, yes and no. I truly loved the Twilight series and it will always have a special place in my heart. Stephenie Meyer will hold a place as well because she brought me like so many others to the world of YA and for that I am forever thankful. I wasn't sure what to expect with The Chemist though. I mean she's gone rogue before like with The Host, but this one sounded completely out there and with little to no publicity I wasn't sure what I was in for. I should have had more faith in Meyer. So the elephant in the room for me is where was all the publicity??? I try and stay up to date on most bookish things and believe me when I tell you there wasn't hardly any hype surrounding this book. It was just kinda thrown out there one day and I am completely baffled as to why. Normally we readers know at least a year beforehand that a book is out there being written, but I had NO IDEA about this one. I have to wonder if I am losing my bookish knowledge or did the publisher truly keep this one on the downlow and if they did keep it quiet why? Did they not have faith?? I guess I will never know, but I hope in the future Meyer receives the publicity she deserves. On to the book! Alex was everything Bella was not so have no fear my friends. Alex is overly prepared, beyond intelligent, and borderline obsessive. I loved everything about her. She was a great character that could incapacitate her opponent with one drop of her crafted poison. So cool!! She truly earned her name as the chemist! 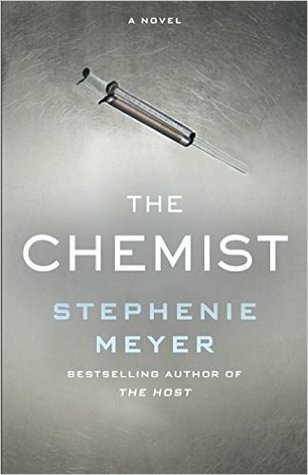 Meyer always knows how to write secondary characters and The Chemist had a wonderful cast. I honestly enjoyed reading each and every one of them. Kevin, Daniel, and Val were amazing and to be honest I wish this was a duology. I am not ready to let these people go just yet. And of course there is a romance, but unlike with Meyers other books, this one makes sense! It does have its flaws, but it made sense and I loved it. Daniel was so great with Alex and he gave her what she needed which was time and space. He understood she wasn't used to personal intimacy and he let her navigate their relationship without expectations. I love him! Plus he said all the right things was totally described as being a chef/teacher/nerd with soft curls I mean come on! Meyer knew what she was doing when she created Daniel. The dogs!! 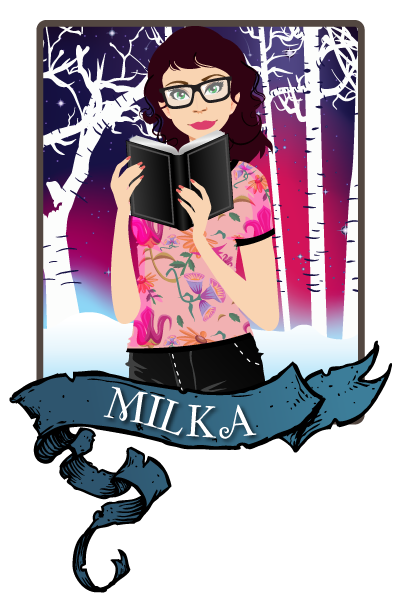 I have to admit I am not a fan of animals in books because I am always afraid one will die and I even had to text my blog roommate to get spoilers! I won't say what she told me or if any die, but I do have to give a special mention to Einstein, Kahn, and Lola. I am a true dog person at heart and these three were amazing. Love love love how Meyer thread them through the story. If you love Meyer I know you will love this. It is a survival story wrapped up in a thriller and it was so fun. I have realized I will read anything this woman writes and I hope we don't have to wait as long for that one because 8 years is WAY too long! Oh I would have given this 5 stars, but the epilogue wasn't what I wanted and yes I am pouting. It was a bit weird, but it fit I suppose I just wanted more. That's my one peeve! 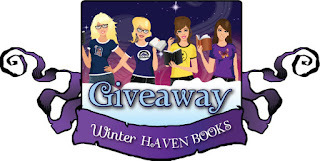 This week WinterHaven Books has another bundle of books you might enjoy. Again, a HUGE thank you to our followers for visiting our blog. 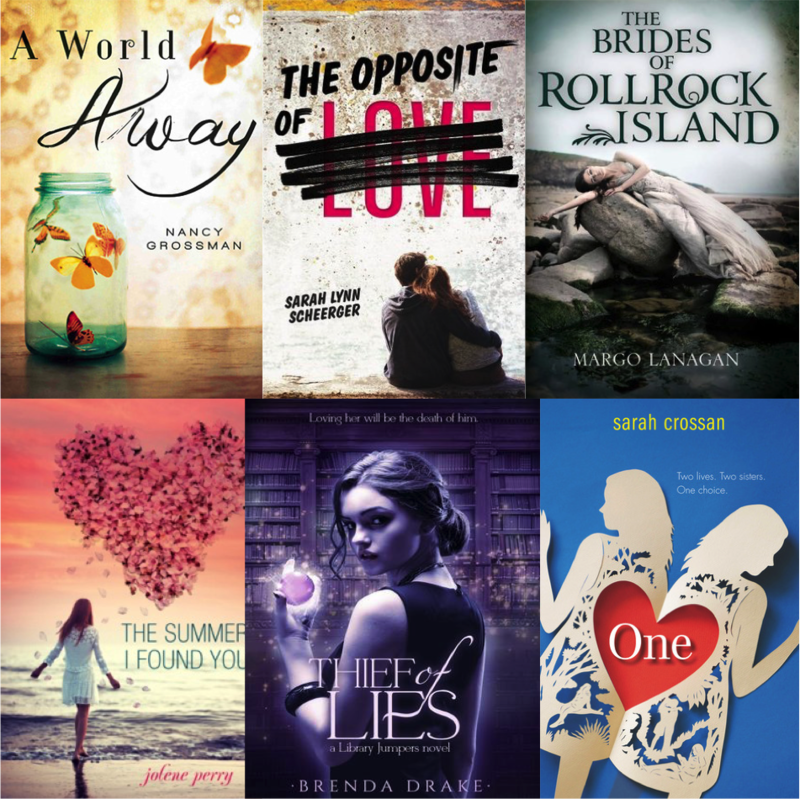 Be sure to check back next week to see if there is a bundle of books you'd like to win and curl up with this winter!